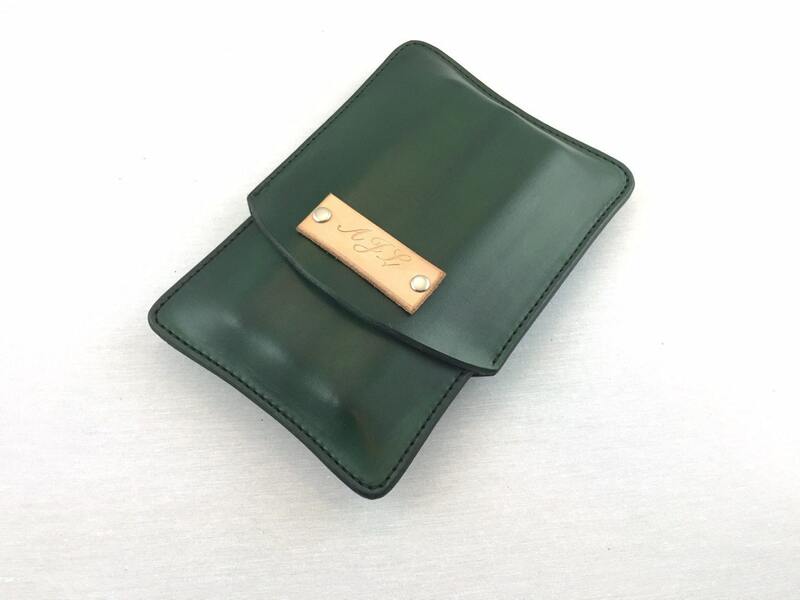 Here is a basic green leather customizable cigar case. The leather monogram plaque will fit up to three letters for a quick personalized case. The natural finish leather plaque is secured with nickel rivets. Please include the letters you want to include in the note to seller when purchasing.